Last post I showed you a cushion design accepted by Rowan featuring Pure Wool Worsted, woohoo! 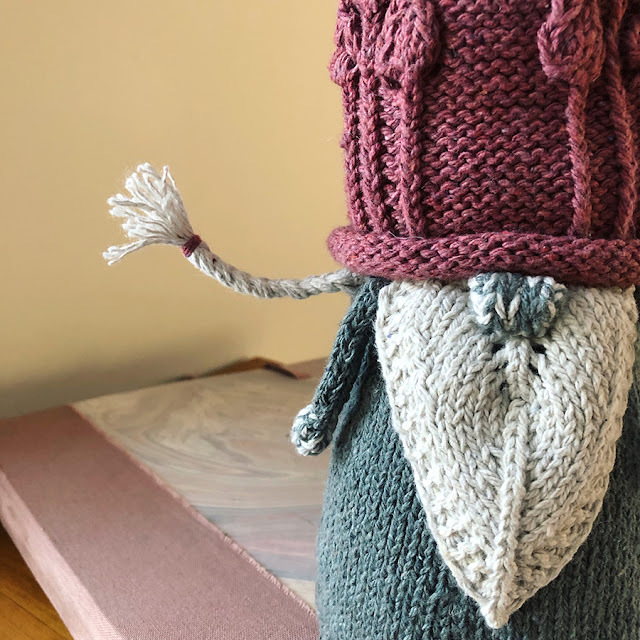 As that design was part of a small contest for home décor items, and I wanted to Win Me Some Yarn, I wracked my brain to design something that was NOT a pillow/cushion. I mean, if you think knitting and then home décor, what's easier than a pillow, right? 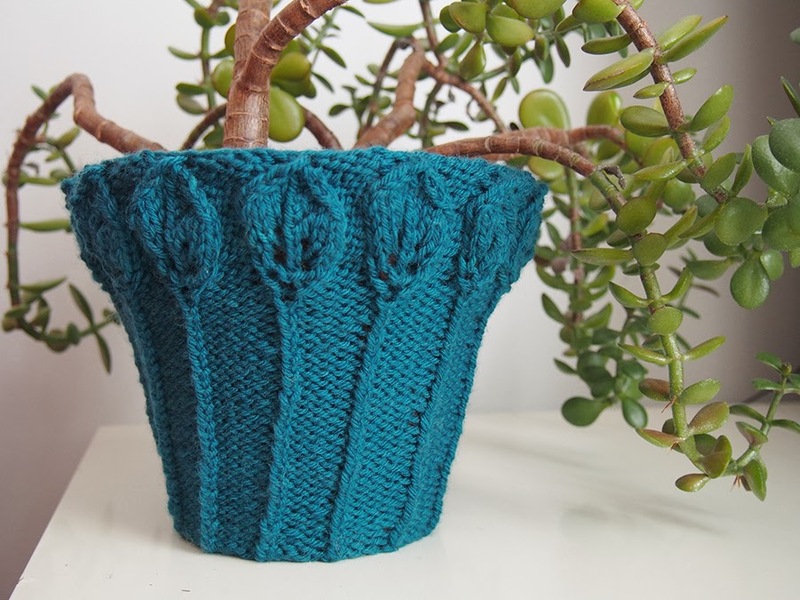 I was totally shocked when I found 65 apple cozy patterns on Ravelry. 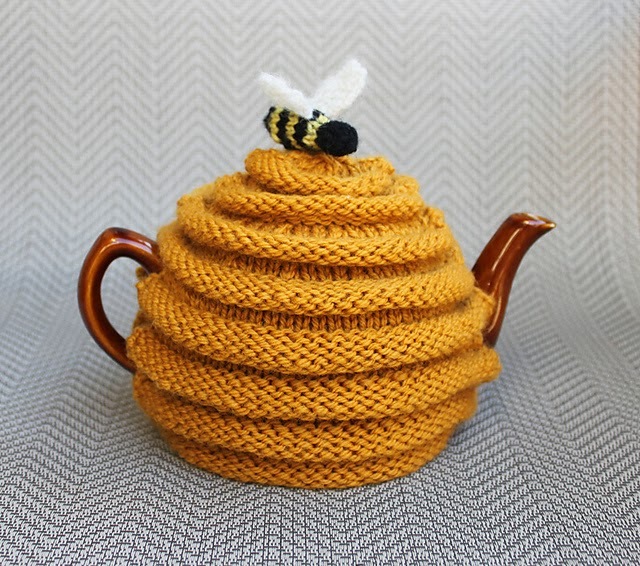 Now a tea/coffee pot cozy makes a bit more sense, as the wool must keep the tea nice and warm. But I couldn't compete with the amazing patterns out there. It's really worth clicking on this search to enter a whole new world of knitting. 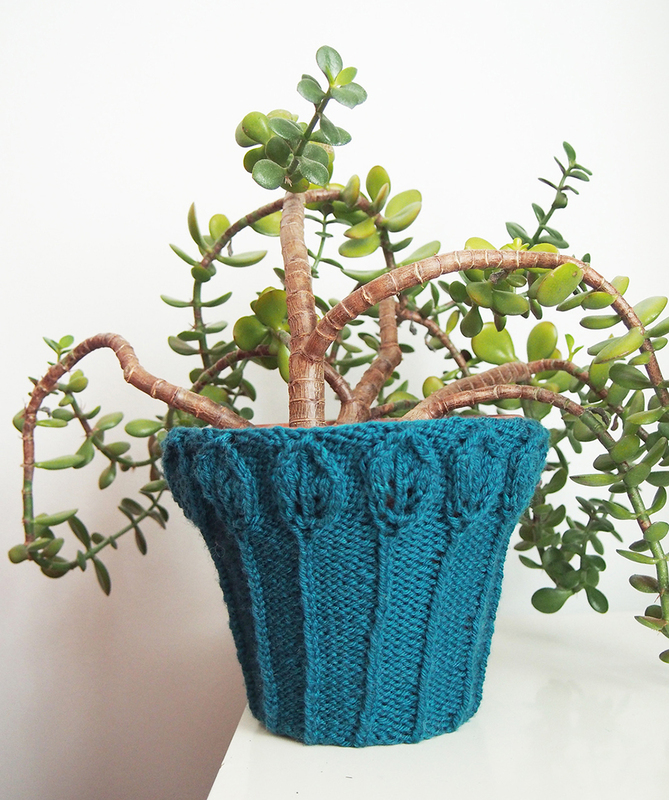 Plant Pot Cozy: Free pattern download here! Ok, so a plant pot cozy is not an *essential* home item and really serves no purpose whatsoever. 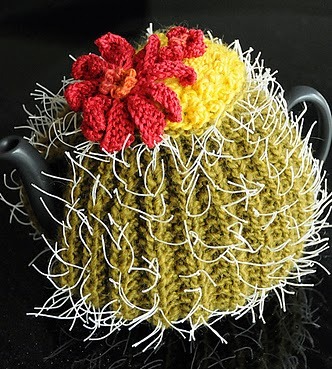 At least a teapot cozy keeps your tea warm! To my surprise, I absolutely love it as a home decor item. I especially like how the wool texture sits among the pot ceramic and leaves. 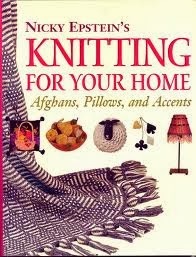 Most of the patterns available are plain knitting. My idea was to mirror the elements of a plant with some kind of motif. 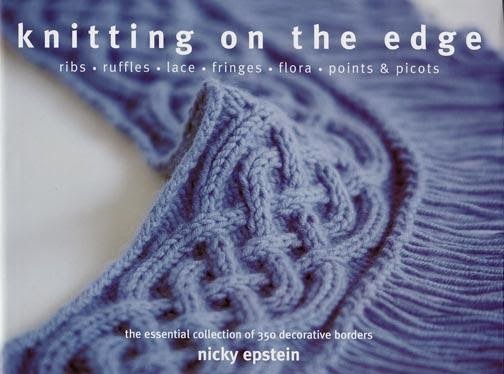 Off to the stitch dictionaries, this time flipping through some old Nicky Epstein books. She has a nice take on the organic, and I got to looking at her extensive leaf motifs. 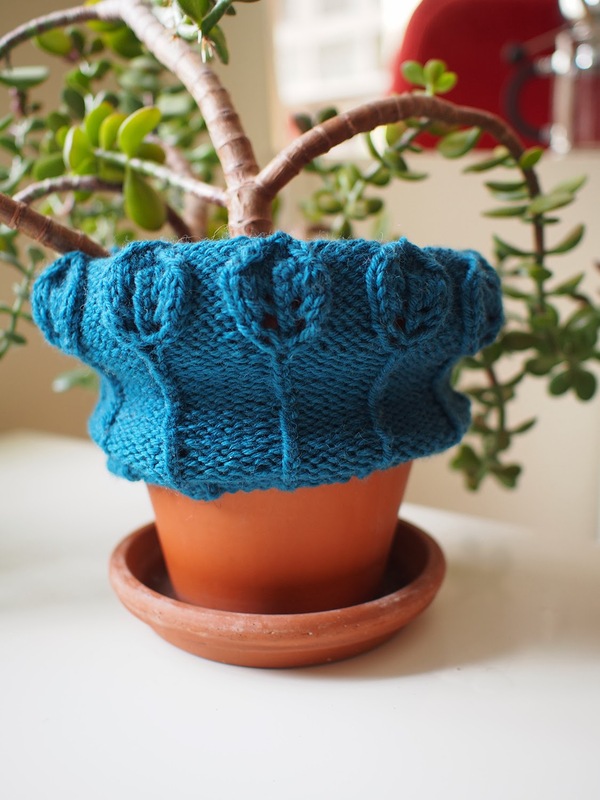 The leaf motif is used over and over in knits with little yarn-overs to show the leaf rib. Wouldn't the perfect place for a leaf motif be on a plant pot? Bonus: a twisted rib for the leaf "stems" provide a lot of stretch! Also, if you just twist the cozy while on the pot, they'll move diagonally and travel along the pot like a cable. I wrote the pattern flat with a seam because Rowan tends to use flat knitting. However, it is easy peasy to convert in-the-round... just remove the first and last stitch, which are selvedge stitches. 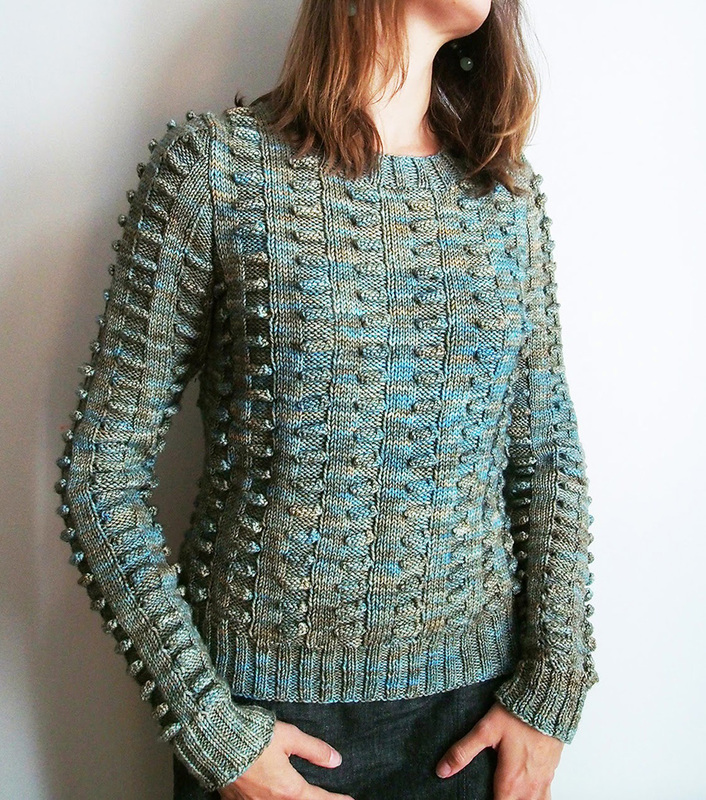 See detailed notes on this on knithemiptera's Ravelry project page. I would recommend folding up the bottom when watering, but it's not essential. Wool is naturally fast-drying and odor-repellent. If you are using Rowan Pure Wool Worsted, it's washable, too! 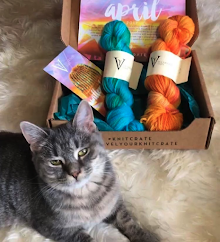 This is a great stashbuster, only 92 yards of worsted weight yarn required. The cozy fits a very wide range of pots -- in fact, through testing I discovered that it's fabulous on a big square pot! 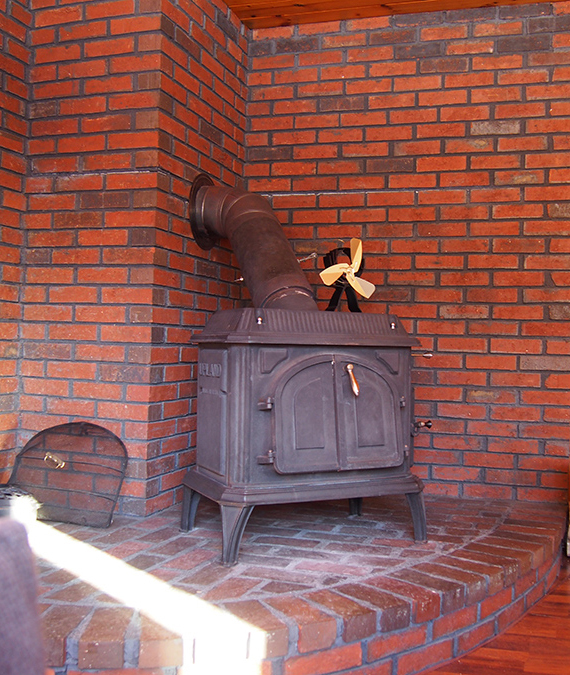 See knithemiptera's Aleaf Cozy here! 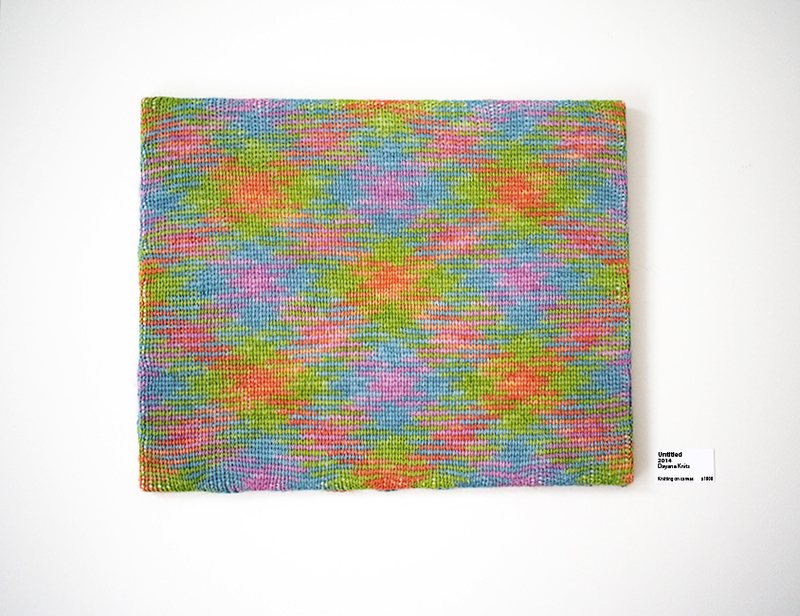 And it looks so great in Noro, too! 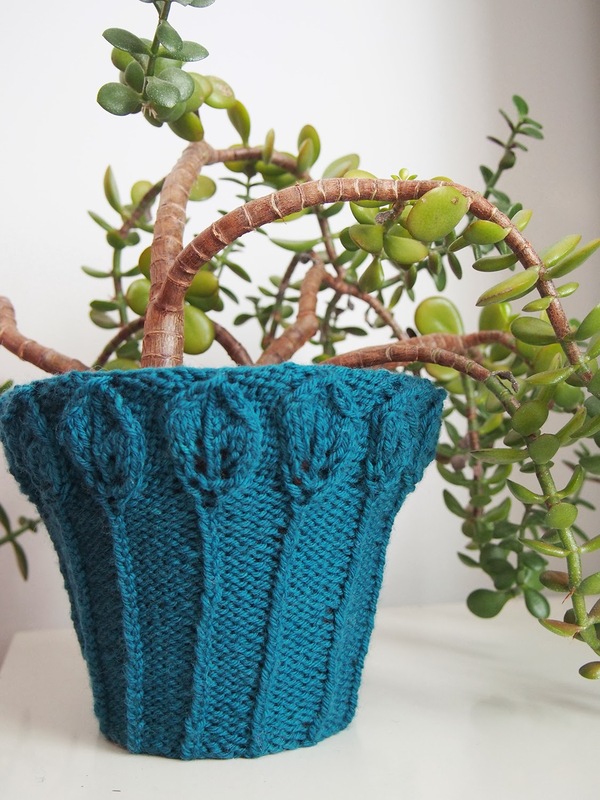 See Gothknitty's Plant Pot Cosy Ravelry project here. It is so lovely! I might give it a go. Oh, I would love that! I was thinking you could do it in a plastic/raffa twine and use it to decorate pots outside, too. This is so cute, Dayana. 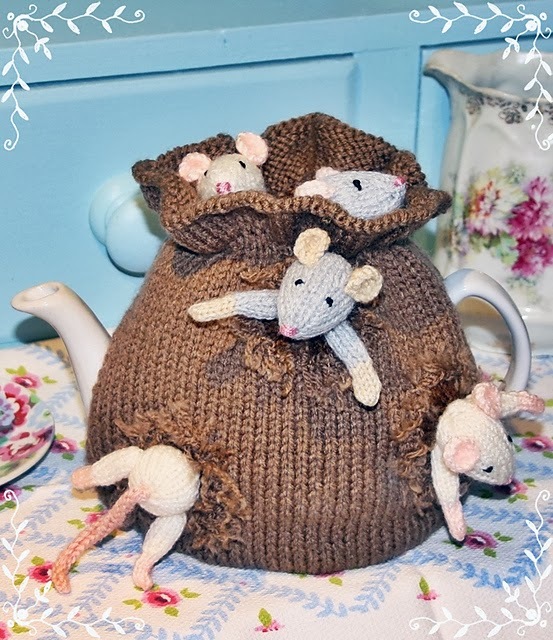 I love the apple cozy and the mouse-y teapot cozy, too. It's got me thinking that everything needs a knitted cozy; maybe Doug's guitar? YES. Now tell me, is it on display or in a case? Because it would be hilarious for him to suddenly come upon it, lovingly covered and dust-free! 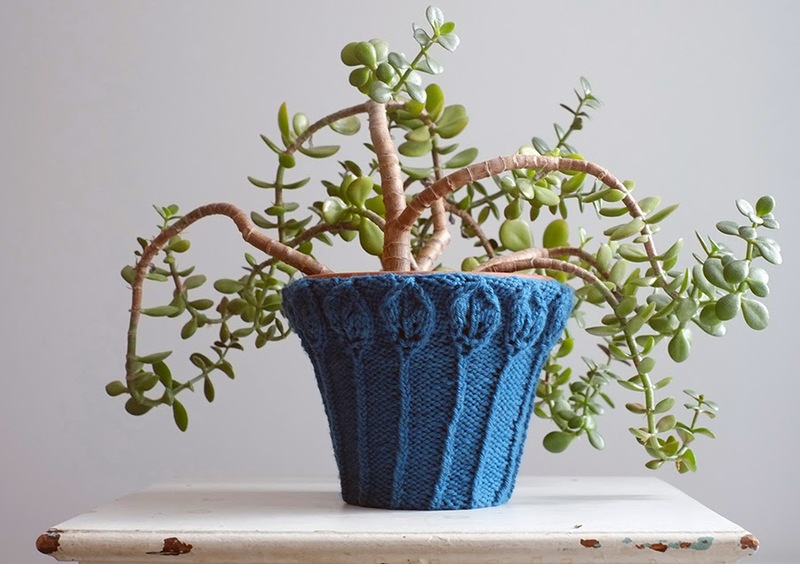 What a fun idea to put the leaf motif on a plant cozy! For anyone with a lot of plants in pots at home that would be an invaluable decorative item! Love the version in the variegated yarn the best. :-) I can't keep any plants indoors--my cats eat them! Cats cats cats, one must build ones life around them, lol! After my current Noro pullover I am definitely trying a variegated one with the leftover bits.